Every year, it seems as if school pictures sneak up on you. Right as you’re about to load the kids on the bus, you realize that it’s the day that their faces will forever be memorialized in their school year book. Unfortunately, your kids aren’t at their best. They’re wearing their every day school clothes and might even have a little bit of their breakfast left over on their faces. If this sounds familiar to you, then you need to read these tips for preparing for school pictures. If you want to be ready for school pictures this year, don’t be afraid to set an alarm… or ten. Go into your phone calendar and set an alarm so that it goes off the day before pictures, as well as the morning of. You can even set alarms for important reminders, such as shopping for picture clothes or taking your kids in to get their hair cut. Before preparing your kids for picture day, you’ll want to pick out a specific pose and background from their picture order forms. Many photographers allow parents to choose from a variety of poses, including close-ups or full-body pictures. If you choose a close-up, obviously you won’t need to worry about shining those shoes, but if you pick a full-body picture, you’ll want to make sure your kid is looking their best, from head to toe. The same goes for the background. 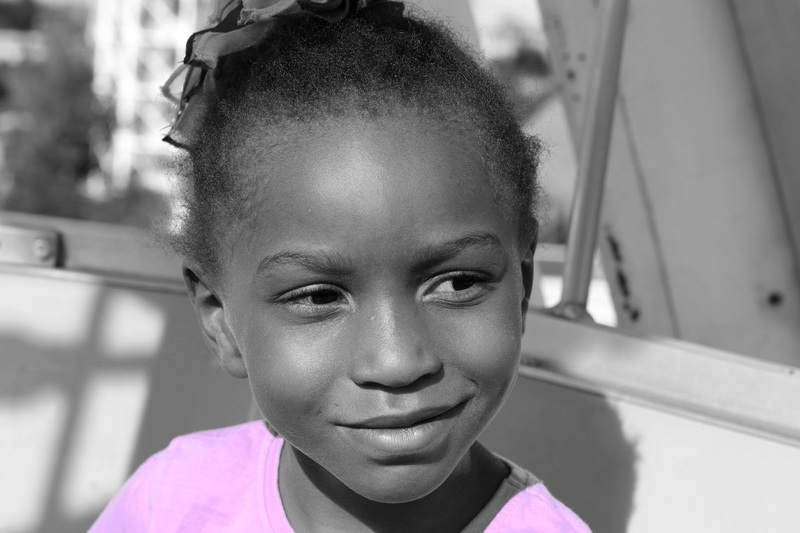 You’ll want to coordinate your child’s outfit to complement the background color. For example, if the background is going to be red, you probably won’t dress your child in a green shirt since those colors can clash. Also don't forget to practice on those smiles. Don’t wait until the morning of picture day to choose an outfit for your kids. Instead, plan their wardrobe ahead of time. This might mean going shopping with them so that you can find the perfect outfit to go with their smiling faces. After picking out their clothes, you’ll also want to make sure you have their clothes wrinkle-free and ready to go the night before. Set out their clothes before they go to bed so that you can catch any wardrobe malfunctions before they happen. Breakfast is the most important meal of the day and the one thing that I make sure that the family has. Having breakfast in the morning not only gives the energy that they need after a full day from the day before, but also fuels their body and brain. According to Madison, "taking pictures is hard", and you are going to need a good breakfast for all the hard work they are going to be doing in school that day. My kids are big on cereal and I have to admit, so am I. However, I love value for my money. Have you seen the prices for some cereals these days? I tend to bypass the "big ticket" cereals as I call them and head straight to my Malt-O-Meal® Cereal in the cereal aisle. Not only do I get bang for my buck but it allows me not to go over my family food budget, and they taste amazing too! Malt-O-Meal® offers 34 delicious flavors so there is something for every taste bud in the family and each of my child have their own favorite. Madison just loves the Berry Colossal Crunch and asks for it every single morning and there's a problem if anyone touches her cereal. I don't blame her one bit, it's too good to share. 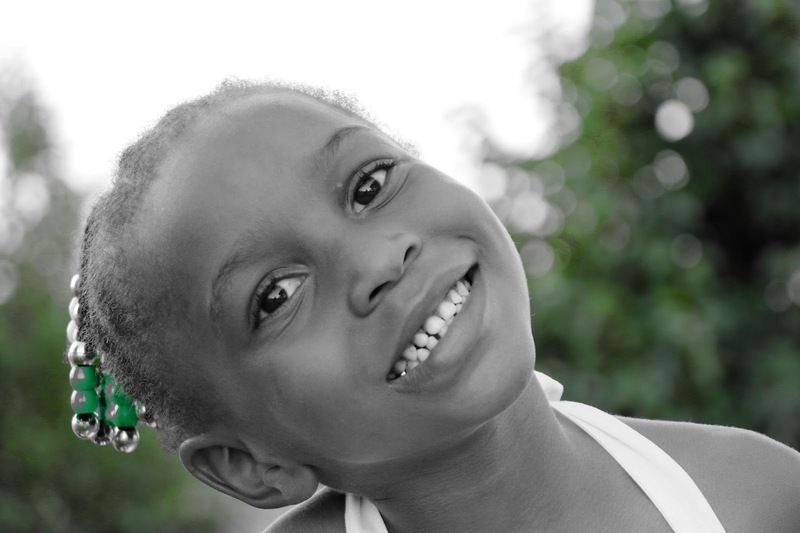 By following these tips, you’ll be ready for picture day so that your kids look their best! And go and download a coupon to try a Malt-O-Meal® brand cereal for yourself! 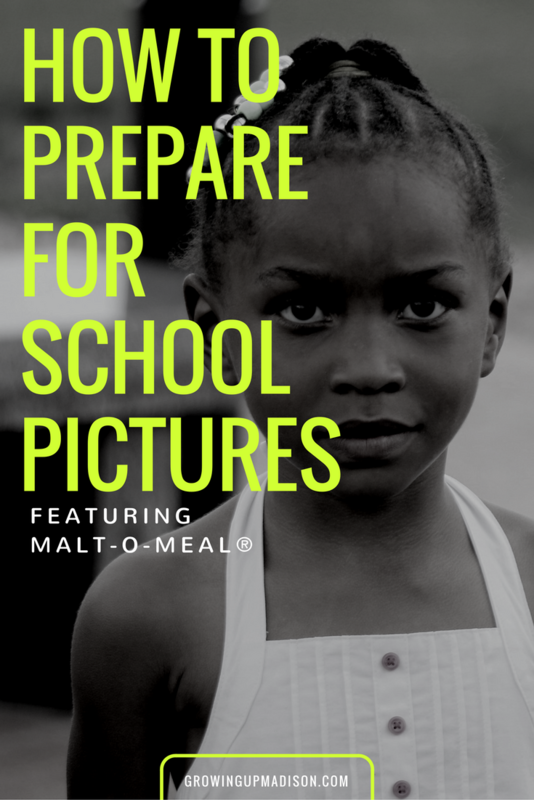 Let's discuss: What are your best tips for preparing for school pictures and what is your favorite Malt-O-Meal® Cereal? I don't do anything differently on school picture day than I do any other morning. We ALWAYS have a good breakfast because it's super important. It is very important to have breakfast and good to know you have picture day covered. These are great tips. We have picture day coming up soon, so I'll have to make sure the kids get a wonderful breakfast. Thanks for sharing the coupon. You're very welcome Michelle and are you a Malt-O-Meal® fan as well? An alarm is ssoo important on picture day. The last thing you want is to be rushed on a day that will be forever commemorated on film! Oh you sure don't want to be rushed and you gotta set that reminder for sure. I don't even know about Malt-O-Meal cereal but I'm intrigued. That one looks good to me! Berry flavors! We used to downplay picture day because of my career, but now I LOVE it. Last year her pictures came out SO WELL! It's like a whole other side to her another photographer made happen. It's magical. What a doll! She definitely has posing down! Thanks for the great tips. Picture day is heading our way soon! And I'm pretty sure that you'll be ready. Don't forget that breakfast. We always plan out our school picture outfit the night before. I have even bought outfits specifically for picture day. Oh I've done that myself too for the boys. Gotta have them looking their best on picture day! I am all about the coco people from Malt-o-meal they are so good. As for a tip for picture day make sure to lay out clothes the night before. BTW Madison look so cute. Loving the black and white photo with a hint of color. Thank you Rebecca, it's very rare you see a smile so I had to choose these. A wholesome breakfast is always an important way to start the day. We have two different picture days each year at my children's school, one in their uniforms and another in the outfit of their choice. It is very important and without it kids won't do well in school at all. It's why they even offer it in school. These are some great tips! You definitely want the kids looking sharp. A good breakfast does help with that! It sure does help and yes we do want them looking sharp on picture day. We used to eat these cereals like crazy, because they were so cheap! The taste is great, but we're staying away from dyes now. I can understand that but yes they are affordable and they do taste great! Malt-o-Meal seems delicious! Something that my nieces would definitely love. If she's a fan of cereal then yes she's going to love Malt-O-Meal. There are so many different varieties that she'll certainly find one that she loves. These are great tips to get you ready for picture day. I was so bad about forgetting it when the kids were in school. Oh trust me, I still forget even now. I have to remember this year. We love Malt-o-meal cereals. They taste great and are very affordable. Picture day is always a day we get up bit earlier so we can be a bit more stress-free and take it easy. I want them in a good mood to show those pearly whites! Oh you sure do and I'm happy to hear that you love Malt-O-Meal as well. I'm a big believer in planning well the night before, it makes the morning so much smoother for all of us! Oh yes it does. Planning ahead is always a very good idea. These are great tips. I make sure to prepare everything the night before. It makes everything easy in the morning. Being prepared sure does make it easy. Your daughter looks adorable! 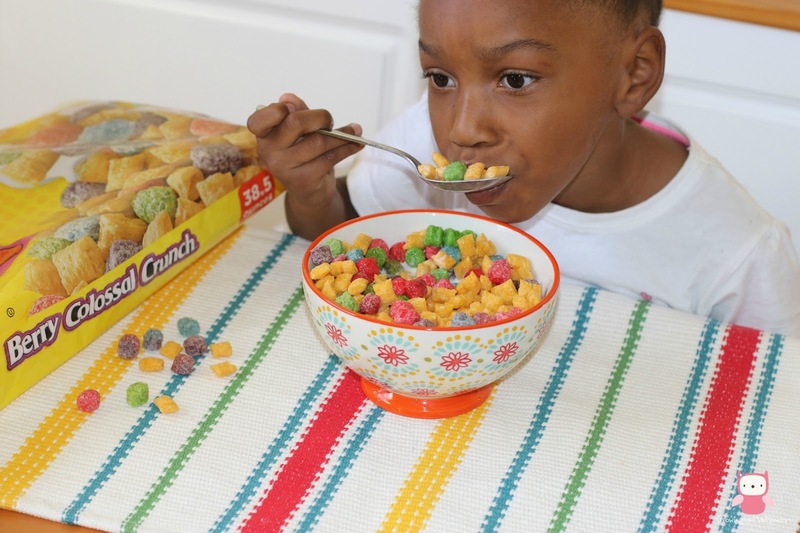 My kids love cereal too, so this is a must try! Oh you've got to try this. You can find it at almost every grocery store. Save some money. I remember how important picture day was when I was a kid. One thing I would also suggest is don't get a hair cut right before picture day. Either plan one a week or two in advance or wait. Freshly cut hair doesn't always translate well in school picts. I've never really noticed that, only the boys get haircuts and their pics always tend to look ok. I wonder how they would look if I follow your tip. I might try that this year. School pictures always seemed to be a hit and miss, but preparing in advance certainly would help them to go smoother... thanks.. It sure would help them go smoother. No rushing in the morning so not a likelihood of forgetting something. Planning ahead is always the best. When my kids were little, I helped them choose the outfit they wish for Picture Day. And of course, I always made sure that there would be minimal stress in the morning of that day plus a delicious breakfast of their choice. That way, they go to school happy and ready to face the camera. That's what I love about Malt-O-Meal, the value and the variety. There is so much, how can you not find one you love? These are great tips! My nephew just started his first year of elementary school and he HATES pictures so I'll have to share this with his parents to get them prepared for picture day! Picture day is coming up soon, but honestly, I don't anything differently as I do any other school day. A wholesome breakfast is always important, though! And you should have that wholesome breakfast every single morning. Your daughter is such a cutie! I love seeing all of her photos. We homeschool so I've never been through this but a great breakfast is always important. Yes a great breakfast is very important. Do you eat Malt-O-Meal cereal? Breakfast is so important before school no matter what day it is. I love these photograph tips too! Yes it is, even if you're not going to school. Thank you for stopping by. I super love this post, very helpful. I should practice my son so when he gets into schooling, my problems will be lessen. Well you really don't need a practice run until a day or two before picture day, so you're good, but you do need to have breakfast every day. Hahahaha I can totally relate. Now I watch what I eat more than before but I still love my cereal. Oh, my son will be in school for next year. I will be ahead of time, thanks for this post. Congrats and you sure will be. This is one thing I dread every year, I can plan ahead but the kids always do a goofy face. Love these tips a great way to get a good school picture! Oh mine always make the faces too and then insist I buy the pic. No way! We haven't tasted this cereal. But I agree. School picture day creeps up before you know it. I'm always rushing to get our son a hair cut at the last minute! Oh you've got to try them and compare them to other brands. You can't even taste the difference. We love these cereal. They taste really really good and they're cheap. Your tips are simple yet essential to get the best picture day. Sometimes kids are quite challanging as subject in photography, they have their moods, but your kids look relaxed and enjoy the photo shoot. Such good tips, thanks for sharing. A good night sleep is definitely a must and she's such a cutie! Oh yes having a good night sleep is a must and so is breakfast in the morning. Have you tried Malt-O-Meal cereal? I have to admit, I'm big on cereal at times too. And I love the idea of reminders on the phone for things like school pictures. Those things sneak up on you. They sure can sneak up on you so ever little reminder is helpful. Do you love Malt-O-Meal cereal as well? What's your favorite? It's been a while since I came by to visit and WOW Madison is smiling. She's almost always smirking or giving that scowl and what a beautiful smile she has. Picture day sure is coming up soon and we'll be using these tips. As for Malt-O-Meal, it's the only cereal we buy now too. The prices for the other cereals are ridiculous and I get the same taste and even more for less with Malt-O-Meal. I'll be downloading this coupon for sure! Cinnamon Toasters is my son's favorite. Yes it's very rare to see a smile so when I get it, I take advantage of it. :) Be sure to download your coupon. You're going to need it for those Cinnamon Toasters. Those are my son's favorite too. A good night sleep is definitely essential. Who can smile their best when they're cranky? It most certainly is. When you're tired, you really don't want to do anything. We have never been offered the chance to pick a pose for our school pictures!! I wish we did lol. I love malt-o-meal cereals!! You should ask, I'm sure the photographer won't mind you picking a pose, and we love Malt-O-Meal cereals in our house too! I love picture day and usually know when it is, but it can all be so stressful. The kids get to take one shot together this year and it will be the first time I get them photographed without us! I don't get to pick the backgrounds right now though. Picture day can be stressful if you're not prepared. Hopefully this year you will be. LOL, I totally get it because that's the same here. I really don't think they prepare the kids either. You have the best photos! 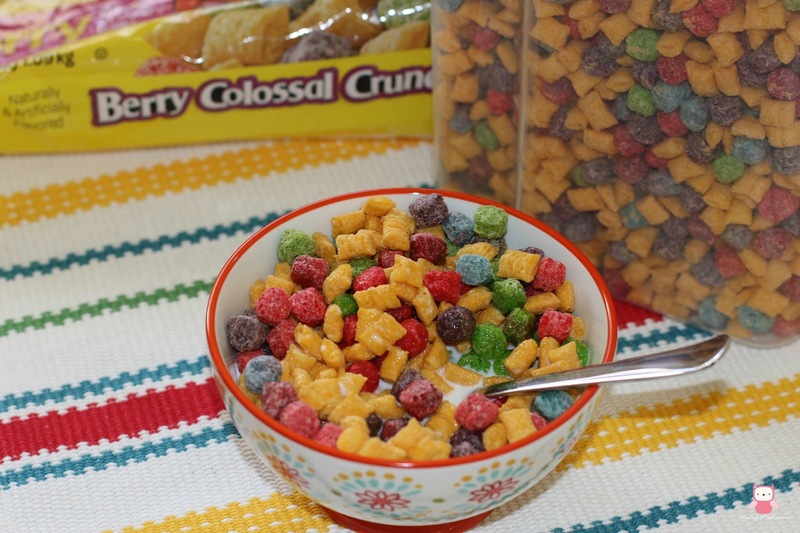 I like the Berry Colossal Crunch the best - right now. Awesome tips Amanda! I wasn't thinking of school pics yet! But thanks to you I now have them on my radar and will use some of your tips especially the tip about putting the reminders in my phone. And you are right about breakfast- I always make sure my girls eat before they are off to school! We actually have school pictures retake tomorrow. They start pretty early here in our state, and without a healthy breakfast they are cranky, and cranky kids do not take nice photos. Such a cute post! We are homeschoolers so school pics are whenever I plan them :). However, when my oldest was in school, it did always sneak up on me! Cereal for breakfast has been such a life saver for me...with the kids being old enough to fix their own breakfast...I'm loving Malt O Meal cereals! I have been thinking of homeschooling my youngest. She's in pre-school right now but I personally would prefer to homeschool and need to start researching since she turns 5 next year. As for Malt-O-Meal, we love their cereals. Nice post and great tips! I like the idea of having good breakfast in advance. Thanks for sharing. This would be really helpful! You're very welcome Lydia and if you're a fan of Malt-O-Meal cereals, or if you've never had them before, I would say give them a try by using that coupon.